The Essential line is Comfort Zone's core product lineup for achieving great everyday skin and the cleansers in this line are also perfect for make-up removal and exfoliation. Below are three of the cleansers from the Essential line and to get started, let's go with something to get that makeup off! Essential Micellar Water (pictured below) is a multi-active water for cleansing face, eyes and lips in a single gesture. Fresh, light and extremely delicate, it removes make-up, clears the pores and purifies without the need for rinsing. HOW TO USE: Use every morning and evening. For cleansing: for deep cleansing, especially for the removal of heavy make-up, the product can be used as a second step after the cleansing milk, ensuring the complete removal of all make-up and impurities, leaving a sensation of freshness. The application can be repeated until the skin is completely clean, and if desired, the face can be rinsed with warm water. 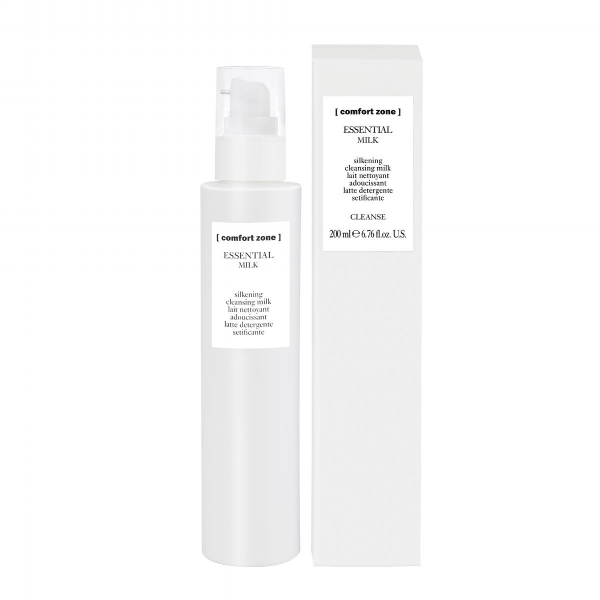 Essential Milk Cleanser (pictured below) is a creamy milk cleanser with silkening action for daily use, for all skins. It removes all impurities and make-up, respecting the skin’s equilibrium and restoring its natural luminosity. Suggested for both hot and cold climates. HOW TO USE: Use every day for all skin types, apply to dry skin, massage with circular movements. Remove with warm water. Essential Face Wash (pictured below) is a creamy-foam cleanser for complete removal of impurities and make-up, respecting the skin’s equilibrium and restoring its natural luminosity. With an active ingredient called Betaine, a natural extract derived from sugar beets, it contains polar molecules that bind to your skin helping retain moisture. This cleanser is particularly suited to young, normal and combination skins and for those who are not especially sensitive or dehydrated. Ideal in hot, humid climates. HOW TO USE: Use every morning and evening, emulsify the product in your hands with water to create a soft foam. Massage into the skin, avoiding the eyes, and then remove with warm water. Active Pureness Gel (pictured below) is a cleansing gel with exfoliating action that purifies and normalizes oily, acne-prone skin. Thanks to the presence of purifying actives, the gel deeply cleanses the epidermis and clears the pores. Recommended for male skins and in hot, humid climates. HOW TO USE: Apply to dry skin, massage delicately for a few seconds and then carefully rinse. Avoid the eye area. It is suitable to use under the shower on the areas of the body that are prone to impurities. The 3% percent of gluconolactone permits the use of this product in the summer months, but to ensure complete protection, it is recommended to apply an SPF cream afterwards. Remedy Cream to Oil (pictured below) is fragrance-free and has an innovative texture that transforms during its use. 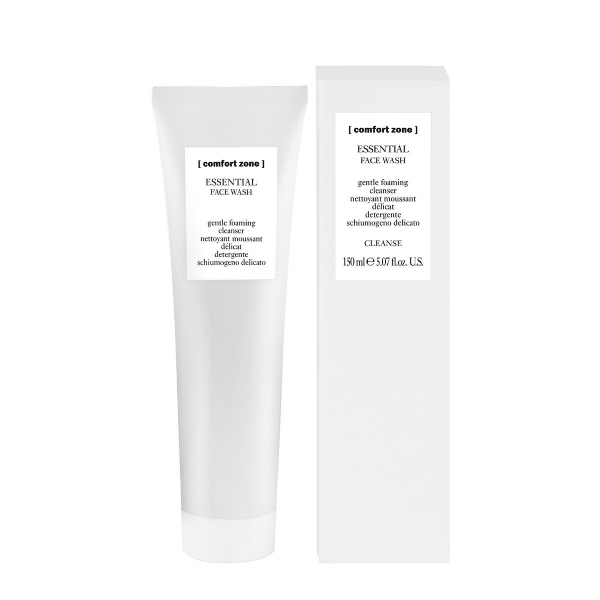 The initial phase, which is creamy and easily massaged, mechanically removes the skin's impurities. The oily phase, which completes the cleansing, leaves the skin soft and velvety. For skins which are sensitive, sensitized and prone to redness, this cream-to-oil is ideal for dry, dehydrated skins and harsh climates. HOW TO USE: The product is very concentrated and therefore only a small amount is required. Apply directly to dry skin and massage with circular movements to favor the transformation phase. Remove with warm water, avoiding contact with the eyes. So there you have it! A quick overview of our new cleansers, aka the best place to start when it comes to getting serious about beautiful skin. Oh! And if you are looking for something to help with the exfoliation and removal of makeup, you have to have Jane Iredale's Magic Mitt, available at Crown Beauty Bar! Over the next few weeks, we'll be introducing you to more of Comfort Zone lineup and we are confident you have never had skin care products this incredible available to you in Northwest Arkansas! written by Crown esthetician/brow artist, Mady Casteel.